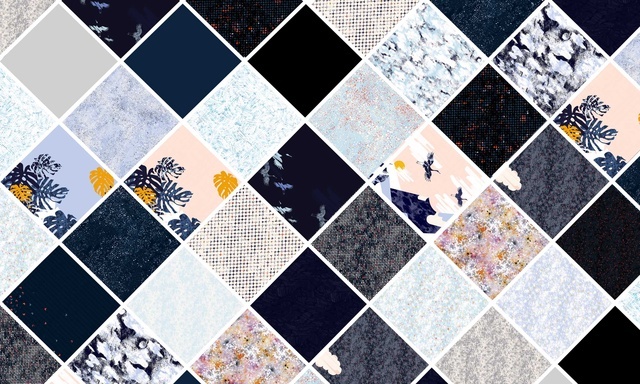 The first anti pollution scarf ! 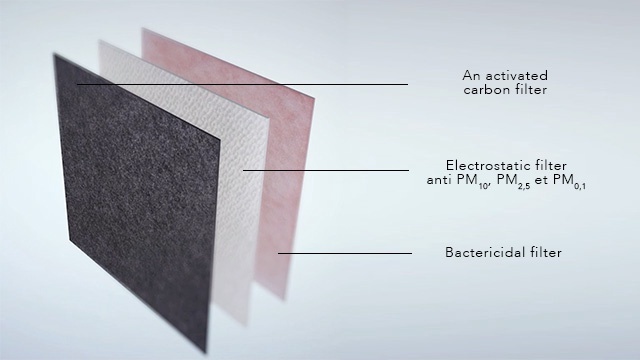 Wair Scarf is an efficient, comfortable and aesthetic solution against air pollution. 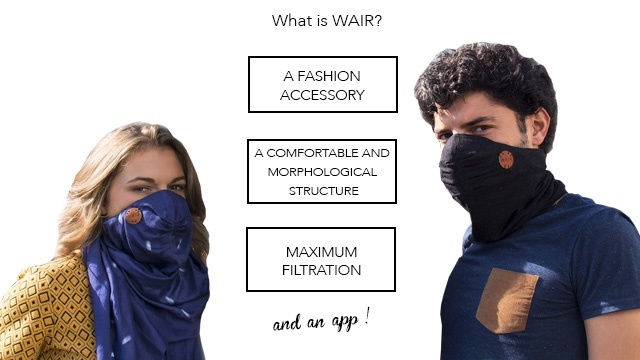 Wair is the first “anti-pollution” scarf which is aesthetic, comfortable and efficient, even against the smallest air particles. It comes with an app, SUP’AIRMAN by WAIR, which is free and available to everybody. 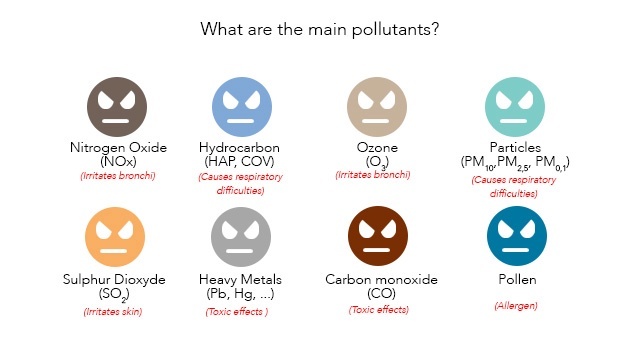 The app informs you about pollution and lets you know if you are in a heavily polluted area, if you should wear your WAIR or change course! 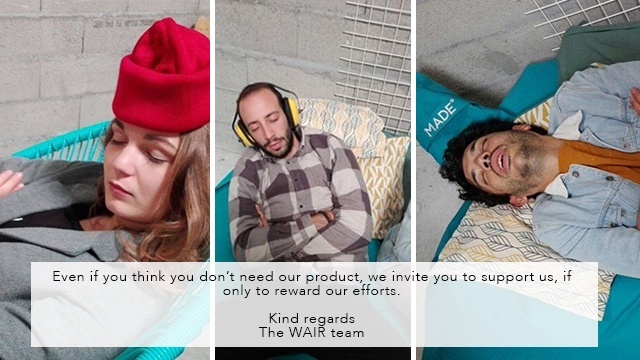 WAIR is available in 3 designs, 2 types of material and numerous colours or prints. WAIR neck tubes are 100% organic coton and available ONLY IN UNICOLOR. 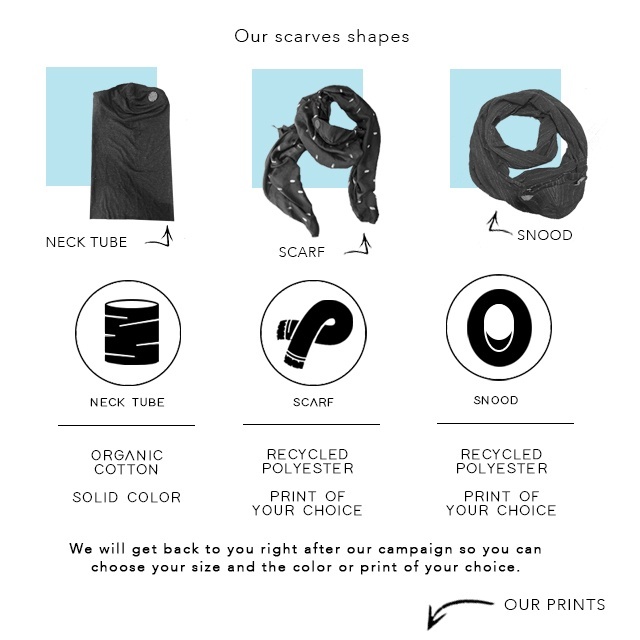 WAIR scarves and snoods are 100% recycled polyester and available in all the PRINTS shown below. 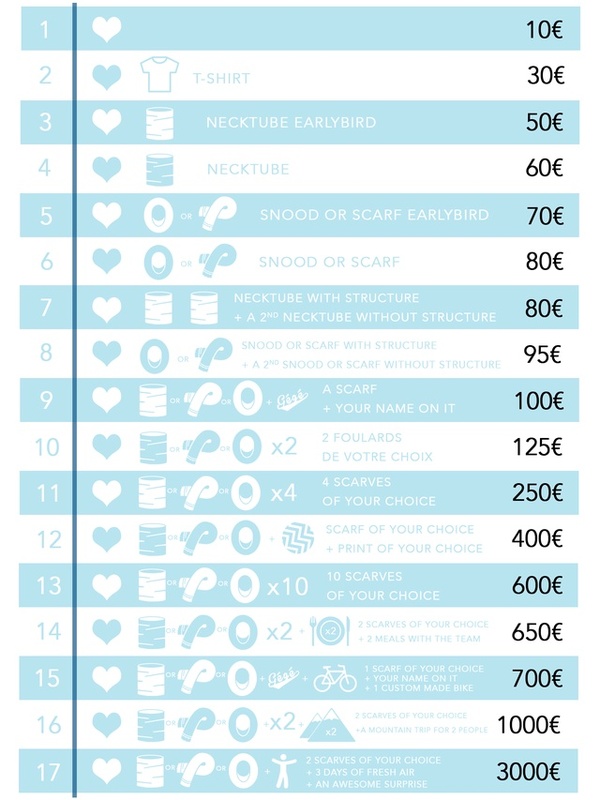 The price difference between a neck tube and a scarf/snood is due to the textile size, the design and the printing of the prints. For now, you only have to choose the design you'd like ! We'll come back to you once this campaign is over, you'll beable to choose your color/print and your size. From basic black to more fashionable styles, you can all find the one that suits you ! 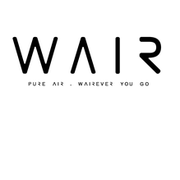 - ALL WAIR scarves are machine WASHABLE. 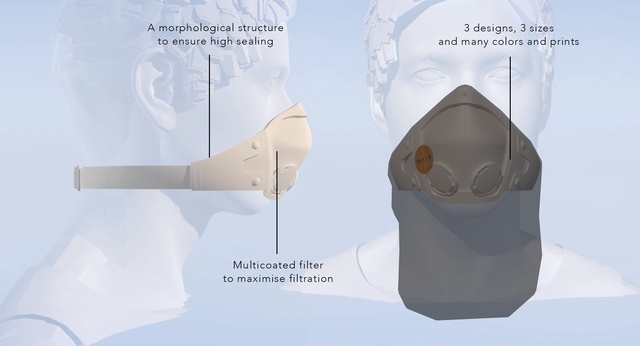 We have worked a lot with our design agency Pulse & Pulpe to design the structure of the anti-pollution mask and make it more comfortable, more adaptable to all faces and more user-friendly! You will have to change your filter regurlarly to guarantee your WAIR scarf the maximum efficiency. 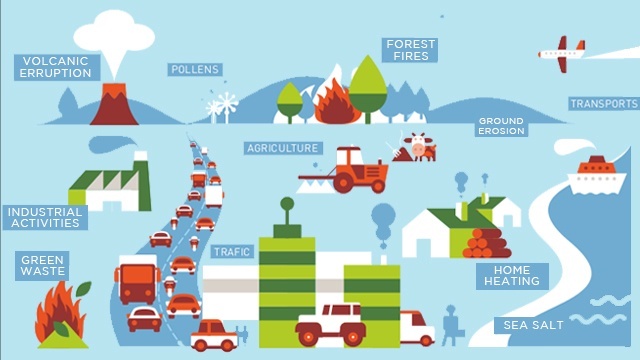 We are working with specialists of air pollution and doctors to develop WAIR and offer you the best efficiency possible, for your well-being day after day. 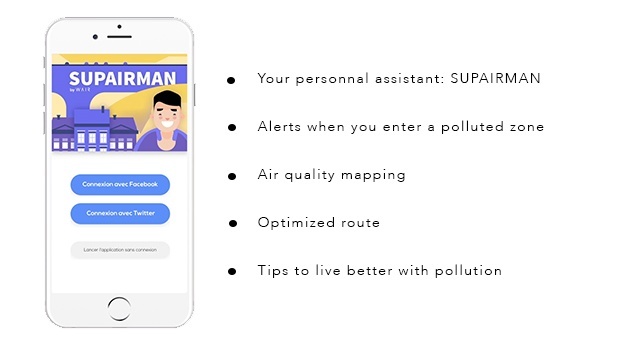 Whether you are a cyclist, a motorbike rider, a pedestrian, the app SUP’AIRMAN will be your best ally when you commute. SCARVES WILL BE DELIVERED FOR THE SPRING OF 2017 !! But if you wish to offer them for Christmas, we'll send you beautiful GIFT CARDS ! Some cool Tote bags are waiting for you ! We are currently finishing the last details of the product, like the different materials we will use, the inner design of the structure and sizes. Reaching 15K will help us finalizing our prototypes and going to industrialization with a first production. 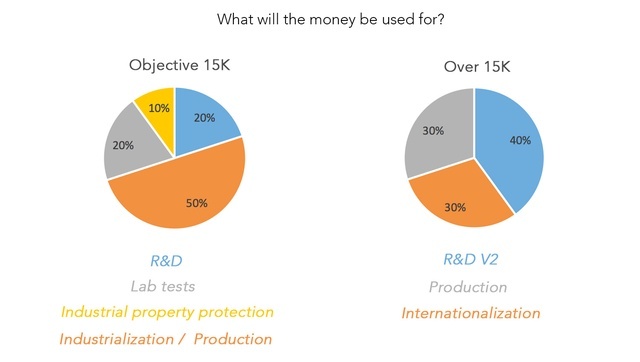 this money will also help us to finance lab tests so we can show you our efficiency. Reaching this objective will help us to show to investors our potential, and with more investments we will be able to grow much faster and market a second version with a connected case of active filtering. Internationalization is part of the second chapter aswell. WAIR counts on you ! You helped us so far, and we want to continue surprizing you, and proposing a product that matches perfectly with your high expectations. If we pass our objective we will unlock some new surprises ! Your shares and support will be rewarded ! Help us to go far over our goal so we can go much further in our development ! 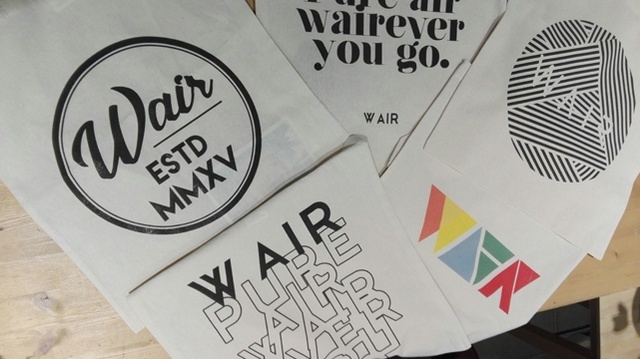 WAIR was launched by Caroline Van Renterghem in September 2014, after she suffered from respiratory problems following the pollution peaks of March 2014 in Paris. Luc Saulière joined her in October 2015, right after the project had been rewarded at the Switch UP Challenge CISCO in April 2015 and it had joined the SenseCube incubator in Paris in September 2105. 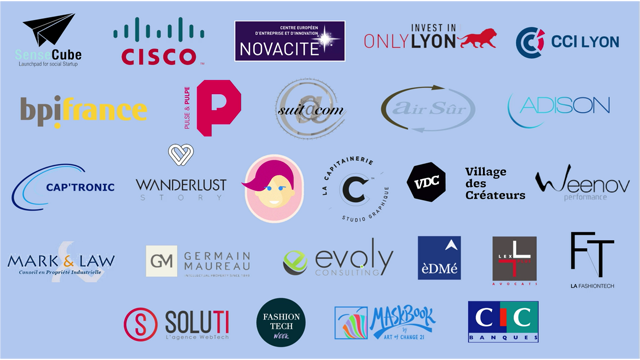 After it was chosen to be among the finalists of the BIGBOOSTER challenge, WAIR decided to set up in Lyon in April 2016 and it is supported there by the Chamber of Commerce and Industry and the Novacité program. 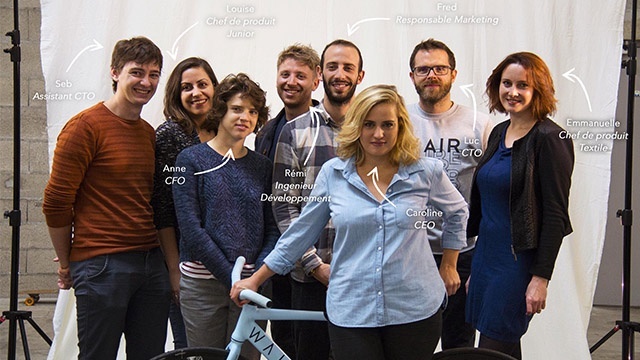 Today the team continues to grow and is made up of Anne, Fred, Sébastien, Louise, Rémi, Bénédicte, Emmanuelle and will soon welcome new members. A SCARF WITH YOUR NAME ! A 3 day trip for 2 in one of the purest place on earth !